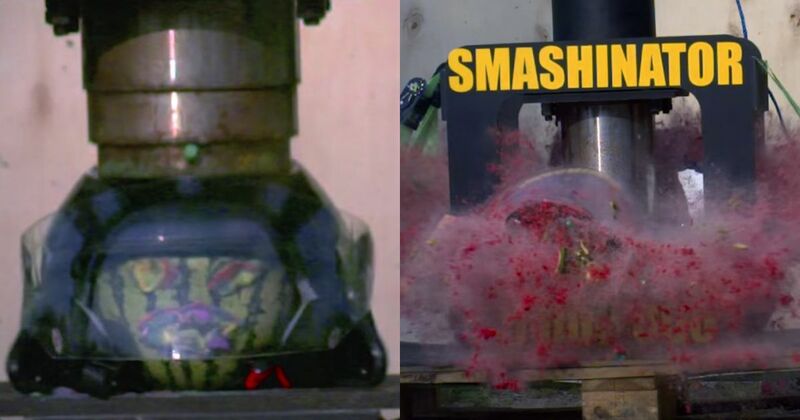 A couple of years ago we watched mesmerised as the now legendary Hydraulic Press Channel unleashed the might of its signature industrial tool on a motorbike helmet. Since it housed a watermelon, it made a fantastic mess. While you’re at it, you may as well stick around for when the Smashinator makes light work of a bowling ball.